My most recent write-up on the EITest campaign can be found here. What people have been calling Rig-V is actually the current version of Rig EK (Rig 4.0), so I've stopped calling it "Rig-V." Now I'm just calling it "Rig EK." On 2017-01-31, CryptFile2/CryptoMix got a facelift and is now calling itself CryptoShield. 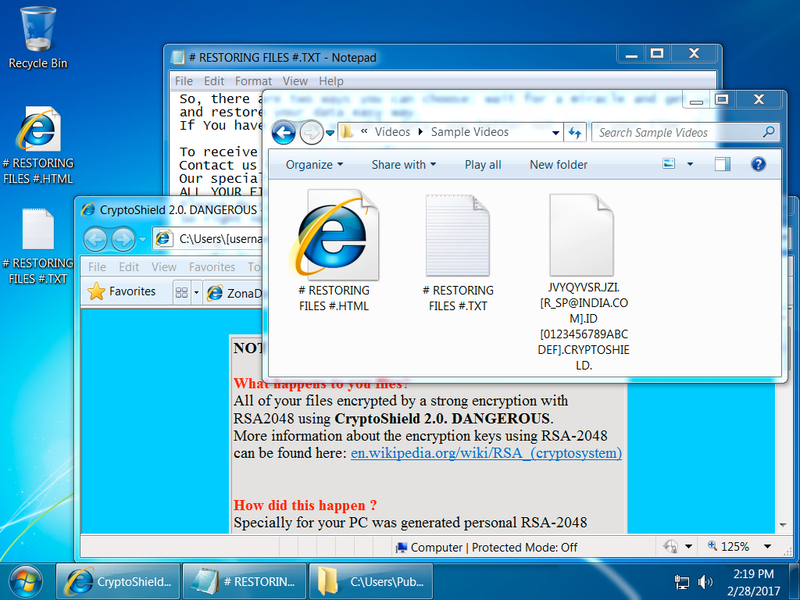 BleepingComputer posted a great writeup of CryptoShield ransomware (link). I also did an ISC diary recently about CryptoShield from Rig EK here. On 2017-02-28, CryptoShield ransomware changed from version 1.2 to version 2.0. Got the compromised sites from one of @nao_sec's latest tweets. 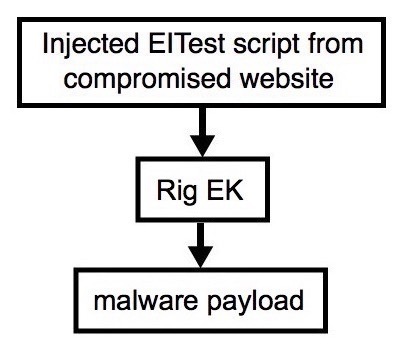 Shown above: Injected script from the EITest campaign in a page from the compromised site. 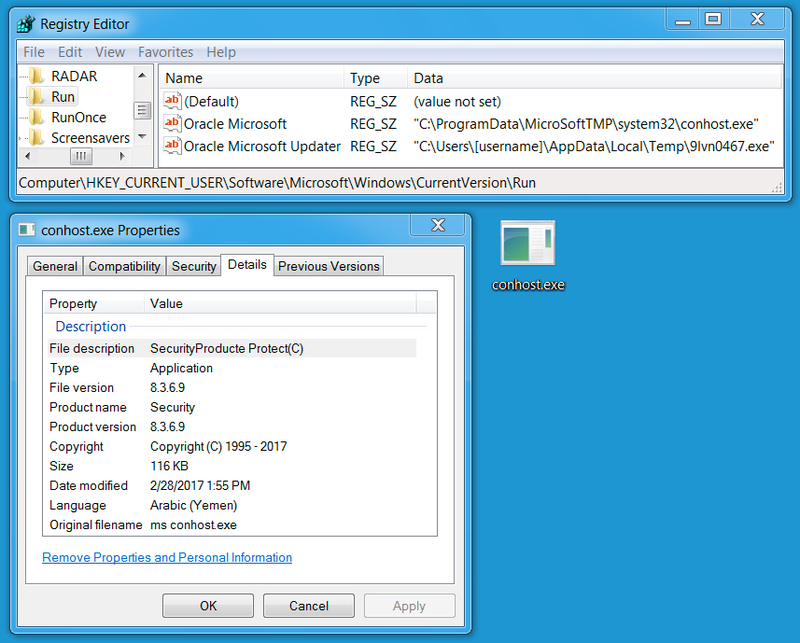 Shown above: CryptoShield ransomware made persistent on the infected host.